In the year of 1533, Katherine is thought to have spent her widowhood with her cousins, the Strickland family at Sizergh Castle in Westmorland (now Cumbria). In the summer of 1534 she married John Neville, 3rd Baron Latymer, of Snape, North Yorkshire. At age 40, Lord Latimer was twice Katherine’s age. Latimer was her father’s second cousin, a twice-widowed descendant of George Neville, 1st Baron Latimer; Warwick, the ‘Kingmaker’s’, ‘idiot uncle’ and a 2nd great-grand uncle to Katherine [The Kingmaker’s sister, Lady Alice, was Katherine’s paternal great-grandmother]. From his first marriage to Dorothy de Vere, sister of John de Vere, 14th Earl of Oxford [m. by 1520], he had two children, his son and heir John and Margaret. After the death of his first wife on 7 February 1527, Neville remarried to Elizabeth Musgrave, daughter of Sir Edward Musgrave, c. 20 June 1528. They had no children and Neville was widowed again in 1530. Neville was one of fifteen children born to Richard Neville, 2nd Lord Latimer and Anne Stafford, daughter of Sir Humphrey Stafford. Latimer’s branch of the Neville family was in line for the title of Earl of Warwick [via his great-grandmother, Lady Elizabeth Beauchamp, daughter of the 13th Earl of Warwick] and because of this, Lord Latimer, dealt with quite a bit of sibling rivalry. Legal actions were taken by his younger brothers and Latimer, at the time of his marriage to Katherine, was having financial difficulties. But as Lady Latimer, Katherine now had a home of her own, a husband with a position and influence in the north, a ready-made family, and a title. Katherine would become the only female Parr, apart from her great-aunt, Mabel, to marry into the peerage. Katherine’s brother-in-law, William Herbert, would later become Earl of Pembroke during the reign of Edward VI promoting her sister from Lady Herbert to Countess of Pembroke from which the current Earls and other branches descend from. From the beginning of the marriage, Katherine tried to be a good wife. Her affection for her husband would grow deep enough to cherish a remembrance of him, his New Testament with his name inscribed inside, which she kept until her death. Katherine would also prove to be a good step-mother to her step-children; a trait which she would again show after her marriage to the King. Her “teenage” step-son, John, proved to be difficult. There is some indication that Margaret, his sister, was their father’s favorite. Never the less, Katherine would continue a relationship with the two after her marriage to King Henry, bringing Margaret to court as her maid-in-waiting and securing a position for John’s wife, Lucy, the new Lady Latimer in her household. Latimer was a supporter of the old religion and bitterly opposed the king’s divorce and remarriage and it’s religious ramifications. In 1536, within two weeks of the riot in Louth, a mob appeared before the Latimer’s home threatening violence if Lord Latimer did not join their cause. Katherine watched as her husband was dragged away by the rebels. As prisoner of the rebels, conflicting stories of which side Latimer was truly on began to reach Cromwell and the King in London. The rebellion in Yorkshire put him in a terrible dilemma. If he was found guilty of any kind of treason his estates would be forfeited leaving Katherine and her step-children penniless. The King himself, wrote to the Duke of Norfolk pressing him to make sure Latimer would ‘condemn that villain Aske and submit [himself] to our clemency’. Latimer was more than happy to comply. Both Katherine’s brother, William Parr and uncle, William Parr, 1st Baron Parr of Horton fought with the Duke of Norfolk and the Duke of Suffolk against the rebellion. It is to most likely to Katherine’s credit that Lord Latimer survived; both her brother and uncle probably intervened at one point and saved Lord Latimer’s life. From the months of October 1536 and April 1537 Lady Latimer lived alone in fear with her step-children, struggling to survive. It is probable that in these uncertain times that Katherine’s strong reaction against the rebellion strengthened her adherence to the reformed church. In January 1537, Katherine and her step-children were held hostage at Snape Castle during the uprising of the North. The rebels ransacked the house and sent word to Lord Latimer, who was returning from London, that if he did not return immediately they would kill his family. When Lord Latimer returned to the castle he somehow talked the rebels into releasing his family and leaving, but the aftermath to follow with Lord Latimer would prove to be taxing on the whole family. The family would later move south after the executions of the rebels which pleased Cromwell and the King. Although now charges were found, Latimer’s reputation which reflected upon Katherine, was tarnished for the rest of his life. He spent the last seven years of his life blackmailed by Cromwell. Katherine would spend much of her time in the south during the years of 1537-42. Her husband was called away frequently to do the biding of Cromwell and the King and be present during Parliament. With Cromwell’s fall in 1540, the Latimer’s reclaimed some dignity and as Lord Latimer attended Parliament in 1542 he and Katherine spent time in London that winter. Her brother, William and sister, Anne had been present at court. Anne entered court service in 1531 as maid-in-waiting to Henry’s queens. 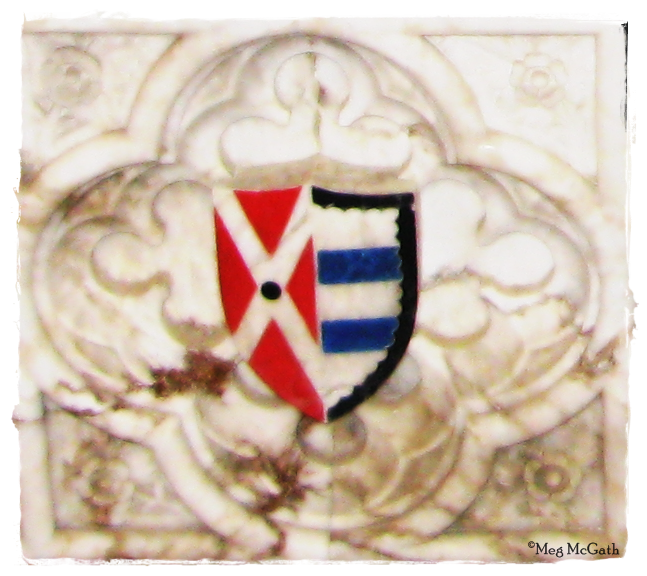 It was here that she made acquaintances and met her future fourth husband Sir Thomas Seymour. The atmosphere of the court was much different from the rural and parochial estates. It was at court that Katherine could find the latest trends, not only in religious matters, but in frivolous matters such as fashion and jewellery which she loved. By the winter of 1542, Lord Latimer’s health had broken down after a grueling life of what some would call ‘political madness’. Katherine spent the winter of 1542-1543 nursing her husband. John Neville, Lord Latimer, died in 1543. In Lord Latimer’s will, Katherine was named guardian of his daughter, Margaret, and was put in charge of Lord Latimer’s affairs which were to be given over to his daughter at the age of her majority. Latimer left Katherine Stowe Manor and other properties. He also bequeathed money for supporting his daughter and in the case that his daughter did not marry within five years, Katherine, was to take £30 per annum out of the income to support her step-daughter. Katherine was left a rich widow faced with the possibility of having to return north after Lord Latimer’s death. Using her late mother’s relationship with Henry’s first queen Katherine of Aragon, Katherine took the opportunity to renew her friendship with Lady Mary. By 16 February 1543, Katherine had established herself with Mary and was now part of her household although this has been disputed. This entry was posted in Life before 1543, The Family of Katherine Parr and tagged 2nd husband, 3rd Lord Latimer, 4th lord latimer, catherine parr, John Neville, katherine parr, lady latimer, Latimer of Snape Castle, Latymer, Lord Latimer, margaret neville, step-children of katherine parr by tudorqueen6. Bookmark the permalink.